Finahub Official Blog: Why worry? your money in savings bank account is insured now. Why worry? your money in savings bank account is insured now. Yes, it is true, your savings bank account may be already insured. It's a great initiative by RBI which formed Deposit Insurance and Credit Guarantee Corporation (DICGC) a fully owned subsidiary of RBI (Reserve Bank of India). Do they cover every thing? Almost... they cover all deposits such as savings, fixed, current, recurring, etc. Certain deposits of central and state govt are avoided and how much do they cover? They cover a maximum of 1,00,000 (1 Lakh Rupees) per depositor in a bank. 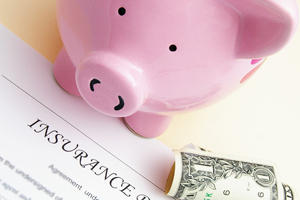 Want to find out whether your bank is insured, please check out this list. When exactly DICGC is liable to pay? If a bank goes into liquidation: DICGC is liable to pay to each depositor through the liquidator, the amount of his deposit up to Rupees one lakh within two months from the date of receipt of claim list from the liquidator. If a bank is reconstructed or amalgamated/merged with another bank: DICGC pays the bank concerned, the difference between the full amount of deposit or the limit of insurance cover in force at the time, whichever is less and the amount received by him under the reconstruction / amalgamation scheme within two months from the date of receipt of claim list from the transferee bank / Chief Executive Officer of the insured bank/transferee bank as the case may be. What if, if I have more than one account on different banks? In that case, each of your accounts will be insured separately. During the recent subprime crisis in the US, many banks went bankrupt and a similar insurance had played a major role in securing at least some money of the account holder. Even though bankruptcies of major banks in India looks a remote possibility, it can never be ruled out. You will never know which of your friendly neighborhood bank will be the next Leman Brothers in the making. Please do share us your thoughts on this scheme.